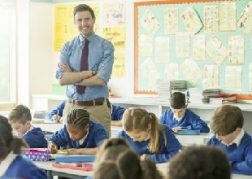 This page provides information on carrying out DBS checks on your staff within a school setting. If your organisation requires criminal record checks because you are teaching, training or supervising children, you can Register your organisation now to carry out checks straight away. Below are some common topics aimed at helping you get the right level of Disclosure and ensuring you have everything in please to start requesting checks today! Who needs a DBS Check within a School? You will need to decide what level of check is required on staff members and volunteers. To assist with this process we have created some webpages relating to Regulated Activity. Many Local Education Authorities will also be able to provide further guidance on the subject so it is well worth contacting them directly (click here to find your local council). Included in this decision making process should be policies on supervision, the opportunity for contact with children and other measures in place to prevent harm. Schools are classed as ‘Specified Places’ and those working on school sites can be classed as working in Regulated Activity with children if they meet set requirements for the level of access to children, and the frequency of access. Each employer should run a risk assessment to determine if staff will meet these requirements. It is also useful to assess the roles in of those coming onto the site for other reasons, to guide third party organisations on the level you would expect them to have, based upon the access they will have and how you will supervise their access. OFSTED advise that they do not need to see the original Disclosure Certificate that was issued by the Disclosure and Barring Service, but need to see evidence that a check was carried out at the time of employment. The DDC Client Area provides sufficient evidence to confirm this through the ‘Manage Applications’ section. Clients can print off a specifically designed “Preview Disclosure Notice” of the check that was carried out for a paper record, to be kept on personnel files. We can also tailor the account to match any recheck policies you have within your organisation to ensure your staff Disclosures are kept up to date. OFSTED do not currently support the Portability of Disclosures where they are making the employment decision on a Registered Person. However, where the school is checking other non-registered everyday staff this decision is entirely your own. For more information about this topic please read our page on Disclosure Validity. The DBS have introduced the Update Service designed to improve the portability of Certificates. Our FAQ includes a link to using the DBS Update Service which has been written to clarify the process and help you evaluate how to best introduce the service to your organisation.